Posted Monday, February 3rd, 2014 by Steve Leigh. With recent stories of decline from other manufacturers, such as our recent story of Dell No Longer Making Inkjet Printers, HP continues to show strong sales and innovation in its printer lineup. While it may be true that inkjet printer sales are on the decline, the market for laser printers is still strong. HP’s laser printers are seeing such low prices in recent months that they are becoming affordable enough for busy home and small office users to take the plunge. HP’s monochrome laser models are a staple of the modern office environment, but affordable models are starting to make their way into homes and small offices as well. Consider the company’s least expensive model, the HP LaserJet Pro 1606dn. This unit includes both networking and duplexing with sharp laser quality, but its price is more in line with that of a typical inkjet model. Of course, the savings on HP 1606dn toner cartridges will make it a more cost-effective solution in the long term. For those who want a little more speed, spending $100 more for the HP LaserJet P2035 is a solid option. It can print up to 30 pages per minute, and has a larger paper capacity and a few more expansion options as well. Of course, buyers looking to replace their costly inkjet models will want high-quality color output. The dropping prices of HP’s color laser printers means they may just be affordable enough for home users. 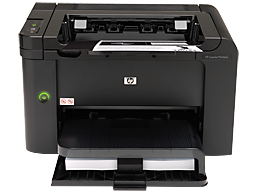 The most affordable color laser model, the HP LaserJet Pro M251W, includes wireless support and modern features like HP ePrint for mobile printing. It also features a color touchscreen interface for intuitive controls. However, some buyers may find its speed of 14 pages per minute to be a little slow. 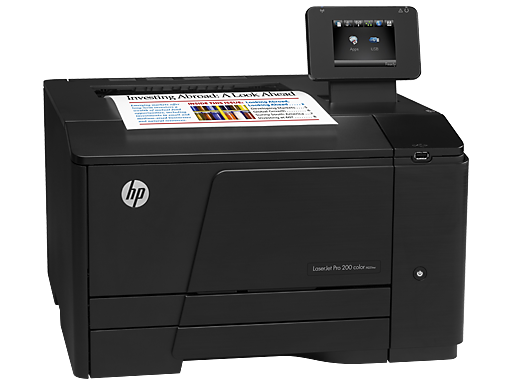 Those looking for a little more speed should consider the HP LaserJet Pro 400 series. The M451dn, for example, can print up to 21 pages per minute, but it lacks the touchscreen interface of the M251W which some users might miss. Should You Switch to a Laser? With lower prices for laser models, it may seem like a no-brainer for most users to make the switch. The reality isn’t quite so clear cut, though. With new models like the OfficeJet Pro X series, HP is proving that the inkjet printer is far from dead. In fact, the series includes the “world’s fastest desktop printer”. Also, consider that despite the lower operating costs of laser models, inkjet printers still generally provide better photo output and more features for a lower purchase price. These can be significant factors for buyers who need multifunction features on a tight budget. Overall, if you value low operating costs, fast speeds, and sharp text quality, it may be a good time to switch to a laser printer. If you still need to print photos, or need multifunction features like scanning and faxing on a tight budget, you may be happier with an inkjet model.